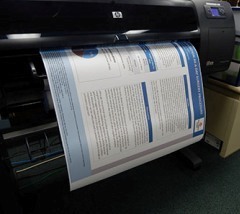 Your research deserves a great looking poster! 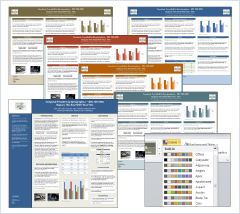 Genigraphics makes it easy to create award-winning research posters. Printed and delivered to any meeting, anywhere in the USA or Canada, as quickly as overnight. Let our expertise help you to present your expertise. • Over 40 Color Themes! Our templates come pre-formatted with placeholders for commonly used elements and are easily customized. See our File Preparation page for simple, step-by-step instructions. And if you already have a template you like, we can print that too! Once we receive your file(s), one of our production specialists will perform a thorough review to make sure fonts and symbols will print correctly, images are good quality, and elements are all in alignment. If we run into issues, we’ll consult with you and help make any necessary changes. We can ship direct to your conference hotel, to your university, hospital, place of business, or home. Need it in a hurry? Order by 1pm Central Time using our Next Day service and you'll have it tomorrow. Every order is tracked to ensure on-time delivery. 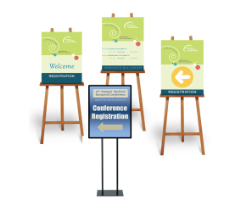 We are the PowerPoint® Poster Experts! Genigraphics has been producing high-quality output from PowerPoint longer than anyone in the industry. In fact, Microsoft partnered with Genigraphics to develop the PowerPoint software. So when it comes to PowerPoint, we know every trick in the book. We also print from Adobe Illustrator, Photoshop, InDesign, PDF, Corel Draw, Microsoft Publisher and a variety of other formats. The Poster Experts at Genigraphics will make it happen.